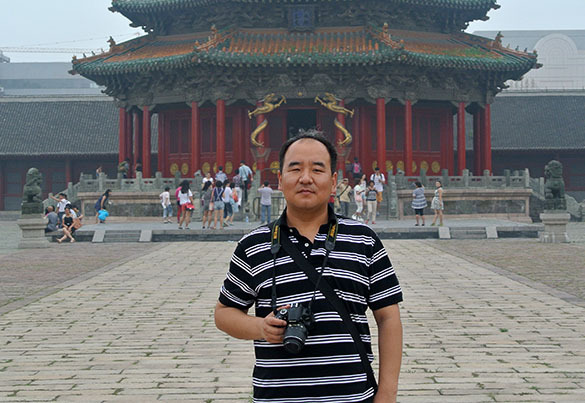 SHENYANG, CHINA — My first post from astonishing China. I’ve been here about a day and a half now and am simply floored by all I’ve seen and experienced. I’ve seen a fair bit of the world, but no place like China. 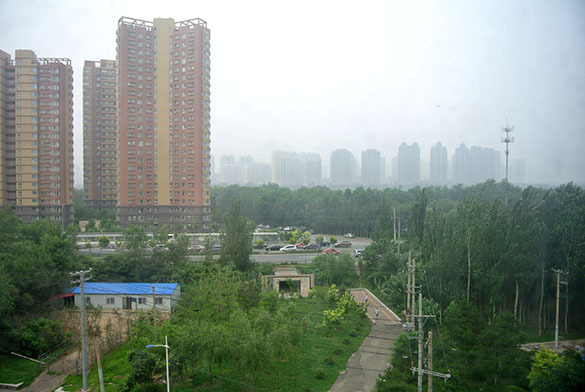 I’m providing here just a few images of Shenyang as just a taste of the adventure. We are twelve time zones away from Wooster, so I’m still feeling too ragged to write much prose. 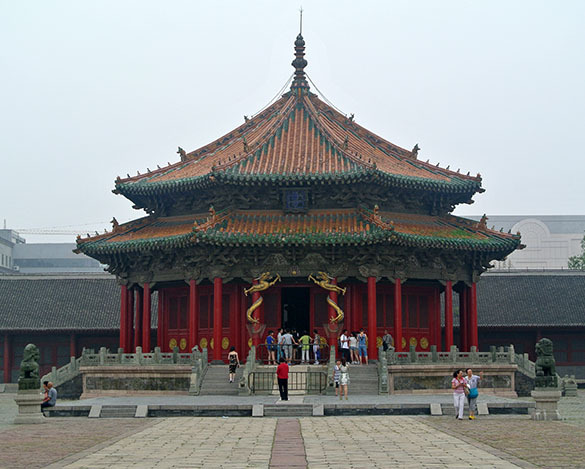 The image above is of Shenyang Imperial Palace, sometimes called by its old name Mukden Palace. It was built in the 17th Century by the first emperors of the Qing Dynasty, the last dynasty in China. This is the iconic Dazheng Hall, where the emperors held court surrounded by their Manchu cohorts. It is all stone and heavily laquered wood. The red color signifies happiness, the yellow royalty, and the green (not unexpectedly) the glories of nature. This is a map of the palace. It is the only Imperial Palace outside of the Forbidden City in Beijing. It was, in fact, modeled on its Beijing equivalent, but it has a distinctly northern flavor of Manchu culture. 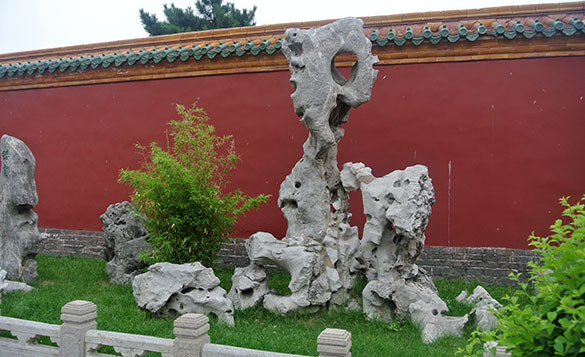 The geological notes here include most notably these naturally-eroded limestones from southern China used as statuary in one part of the palace. All the hollows and holes in these smooth limestones were produced by karstic weathering in a very humid climate. The Chinese call them “lake stones” and very much appreciate their elegance. 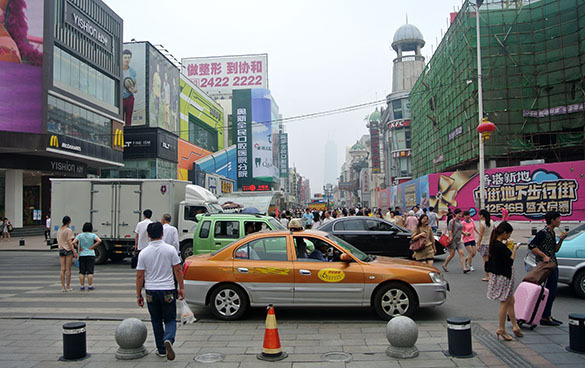 Outside the quiet palace is the very busy business district of Shenyang. Traveling by taxi through this city of over six million people is extraordinary. Somehow it all works, though, and people get to where they’re going by foot, bicycle, bicycle-cabs, carts, trucks and cars. And this, finally, is the view from my hotel window. I’m staying in a hotel owned by my hosts at Northeastern University very close to campus. Tomorrow we leave for Guizhou Province in the south (a five-hour set of flights) and begin our fieldwork in Carboniferous reefs.